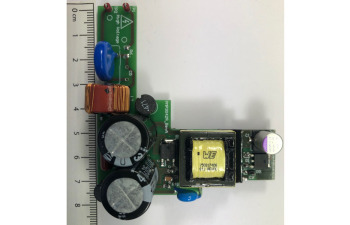 The PMP20345 reference design uses Buck converter to convert universal AC input voltage (102Vac to 265Vac) to a 50V/190mA DC output with UCC28700 primary side regulated controller. Peak efficiency of this design is over 87.5%. 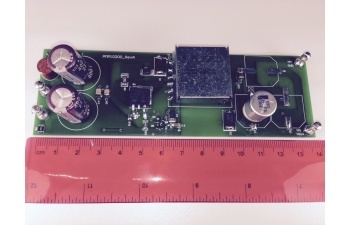 This reference design provides a universal AC input, 30W PSE solution for Power Over Ethernet. The UCC28700 uses primary side regulation to create an isolated 54V rail at low cost. The TPS23861 injects the 54V rail onto the ethernet cable. The PMP20869 is a low cost bias supply reference design with 12V/1.5A output from 120VAC input. This design uses a UCC28700 constant current/constant voltage PWM with primary-side regulation flyback controller and single layer PCB to reduce the overall BOM cost. The PMP20339 is a low cost bias supply reference design with 12V/450mA and 5V/50mA outputs from 120VAC input. A dual-output flyback converter with UCC28700 primary-side regulation controller is used to generate 12V and 5V outputs. Single layer PCB is applied to reduce the overall BOM cost. 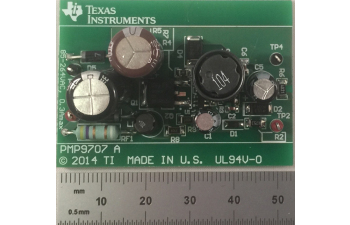 The PMP10200 reference design uses the UCC28700 primary-side regulated quasi-resonant flyback controller to generate a 28V output from an DC input. The input voltage range is between 25VDC and 520VDC. It is a low cost solution because no optocoupler is needed to regulate the output voltage. This design uses low cost primary side regulation (PSR) IC UCC28700 with a SiC-FET for 300VDC-800VDC input range. Four outputs with separated grounds, 25V/19W, 25V/17W, 25V/10.1W, and 25V/8W are generated.